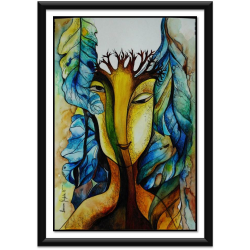 Beenu Gupta For Beenu, art is the yogic representation of music, love and spirituality. 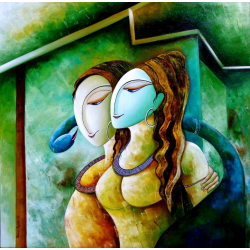 She is inspired from diverse shade of Lord Krishna’s life. There are lot of inferences that he lived a tough life, faced challenges incessantly, yet he spread love and wisdom in the most pious form. 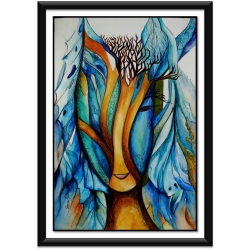 Beenu simply tries to communicate the strongest emotion - Love, through her art work. It is enigmatic. It is selfless, it is relentless. It has the warmth of rising sun, it has the beauty of starry night. The journey of 20 some professional years has been vibrant and incessantly invigorating. 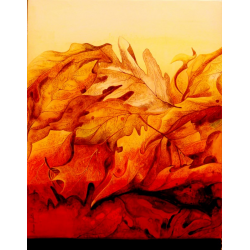 It has enriched her with experiments, life altering experiences and exciting travels, She has displayed 16 solo and over 60 group shows, yet the freshness in her art is unblemished. 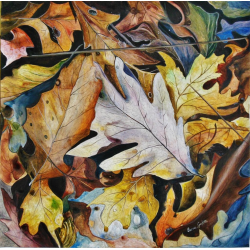 She is widely recognized for her energetic colour and content schema. Important Shows:  Jahangir Art Gallery, Mumbai  Shreedharni Gallery, New Delhi  Nehru Center, Mumbai  Coomaraswamy, Mumbai  Lalit Kala Akademi, Delhi and State & Regional Lalit Kala (U.P.) 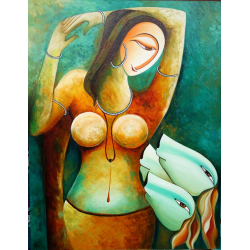  IHC (Visual / Palm Court / Convention), New Delhi  Ductac Gallery (UAE)  Marwah Studios, Film City, Noida  Alliance Françoise de Delhi, New Delhi  Radisson Royal Hotel, Lalit Hotel & Taj Palace Hotels Her collectors from India, Europe, APAC & Middle East, includes the likes of individual, groups and corporates.